As a general medical practice, our team is equipped to handle a variety of health issues for patients of all ages, ranging from treating the flu to chronic pain, sports injuries to mental health care and everything in between. We have skilled registered nurses assisting Doctor’s in procedures and providing wound care. For patients injured in a non-life threatening emergency or accident, we welcome you to our practice. We’ll always aim to provide such patients with the efficient and effective care that they deserve. If you’re dealing with recurring health issues, we can help you manage your care with effective solutions and custom treatment plans. Allow us to join you on your journey! We proudly offer home medication reviews (HMR), which helps patients better manage and understand their medicine while enhancing quality of use. Be it this year’s flu shot, immunisations for your children, or travel vaccines (except for yellow fever), Clayfield Medical Centre has got you covered. Also known as Allergan immunotherapy, allergy desensitization may help patients with certain allergies overcome allergic reactions. Though treatment requires several visits and time for your body to build up immunity, we’ve seen excellent results with many patients in our practice! 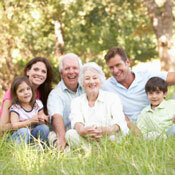 We love helping seniors stay spry and healthy into their golden years. By monitoring your health regularly, we’re able to catch disease and problems before they become serious. Australian Hearing have started hearing test clinics at Clayfield Medical Centre every fortnight on a Tuesday morning until 12 noon. We’re proud to offer counselling and mental health plans fit for your specific needs. If you’d like to learn more, please schedule a long visit with us so that we can craft a mental health plan that fits you, in order for you to access medicare rebate towards your psychologist’s sessions. If you’re anemic, distributing iron through an intravenously infusion (IV) can help restore proper balance to your levels. We can perform this non-invasive treatment in the comfort of our own practice where you can relax. Through testing with an Electrocardiogram (ECG), our team is able to pinpoint heart irregularities that can be cause for concern. From physicals to treating injuries, we’re skilled in managing your needs, including rehabilitation and physical therapy. Did you know that Australian men are more likely to fall ill than Australian women due to serious health ailments? Our team has the necessary knowledge to manage your health while recommending specific testing to keep you well for years to come and catch problems before they become serious. We’d love the opportunity to meet you and your family. If you’d like to get started with our practice, we encourage you to book your health consultation today. Remember, our team proudly offers Saturday appointments, walk-in visits and emergency hours for your needs.